The doctrine of Moral Relativism is deeply embedded in monetarism as value fluctuates constantly depending on the circumstances. If the market needs billions to be impoverished so be it? What is wrong with this picture? The efficiency of the market? That is why monetarism completely fails to achieve anything worthy, simply because value remains unchanged as the input must always equal the output. — in a money-free environment. To resolve the dilemma, man will have to figure out the spiritual puzzle first in order to be able to use materialism positively. More and more scientists are looking forward to the reunification of science and spirituality and they have gone quite far already, but their research is kinda suppressed, yet has made some remarkable breakthroughs. Mainstream academia will not recognize them because it is siding with neuroscience whose aim is to take over our brains and thoughts. Technocracy’s pipe dream is to build an artificial rendition (Matrix) in order to bypass the cosmic quantum resonance which is a Natural Law. Meaning that the Matrix is meant to be ruled by the ego (and its cybernetic prison) as opposed to the interconnectedness of everything created by The One. Besides, is the sun conscious? Of course it is, just as any other living organism, it is aware of its own cosmic programing and interacts with us — and every other living cell — through ELECTROmagnetic patterns. These patterns are the Intelligent Design in action. The Divine Component of man can no longer be ignored. It is about time to reject the so-called evolution theory and its nonsensical “random mutation” arguments which have corrupted biology and sociology alike. In this video, Dr. Jim Tucker, author of ‘Return to Life’ and ‘Life Before Life’, and director of the UVA The Division of Perceptual Studies, presents his research regarding small children who remember details of a previous life. He also offers some history about the founding of the Division of Perceptual Studies at UVA by Dr. Ian Stevenson. In Part 1 of this presentation, our guest Mark Gober began an exploration of the unresolved scientific puzzle: how and why does consciousness exist? 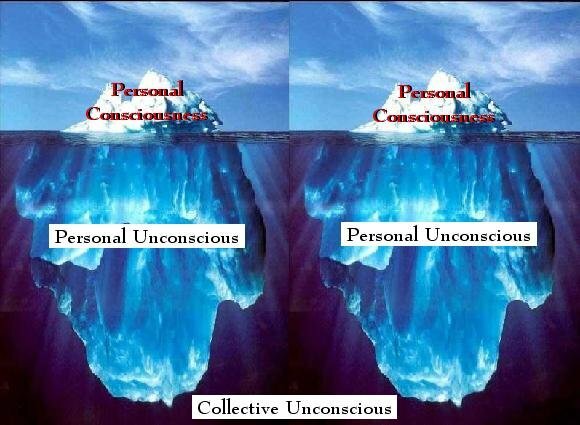 In Mark’s book “An End to Upside Down Thinking,” he summarizes some of the voluminous scientific evidence which suggests that consciousness is not generated by nor confined to the brain. A major focus of this evidential summary is the amazing abundance of scientific studies, dating back more than half a century, into psychic phenomena, such as telepathy, ESP and precognition. Rupert Sheldrake is a biologist and author of more than 85 scientific papers, and ten books, he has been ranked as one of the top 100 Global Thought Leaders. Rupert studied at both Harvard and Cambridge University, and been a Research Fellow of the Royal Society here in London. He is well known for his theory of “Morphic Resonance” which states that memory is inherent in nature, and that telepathic interconnections exist between organisms. Psychic mediums tested under tightest laboratory conditions. Proven accurate. What will debunkers say now?